PETALING JAYA - Malaysian humour strikes again! 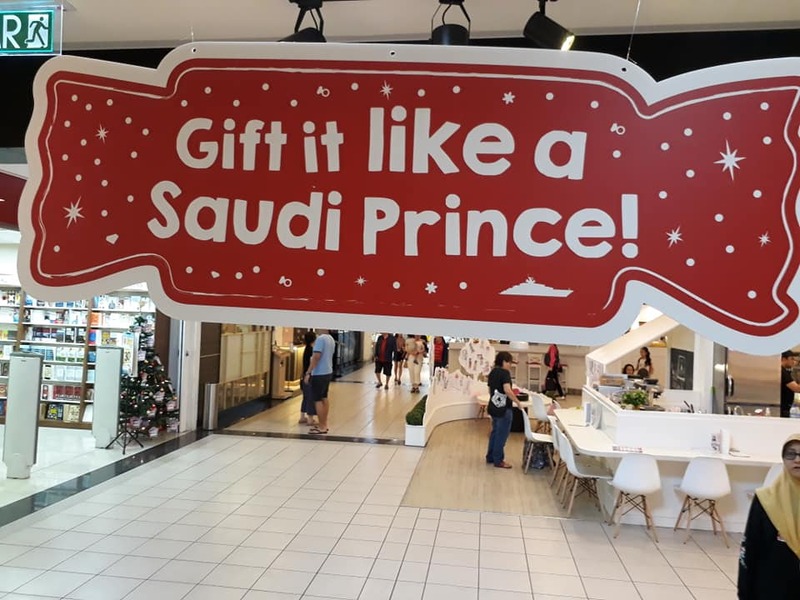 This time it's making Christmas a "Jho-lly" good time with Christmas gifts featuring an unlikely mascot resembling 1Malaysia Development Berhad (1MDB) fugitive Low Taek Jho or better known as Jho Low. 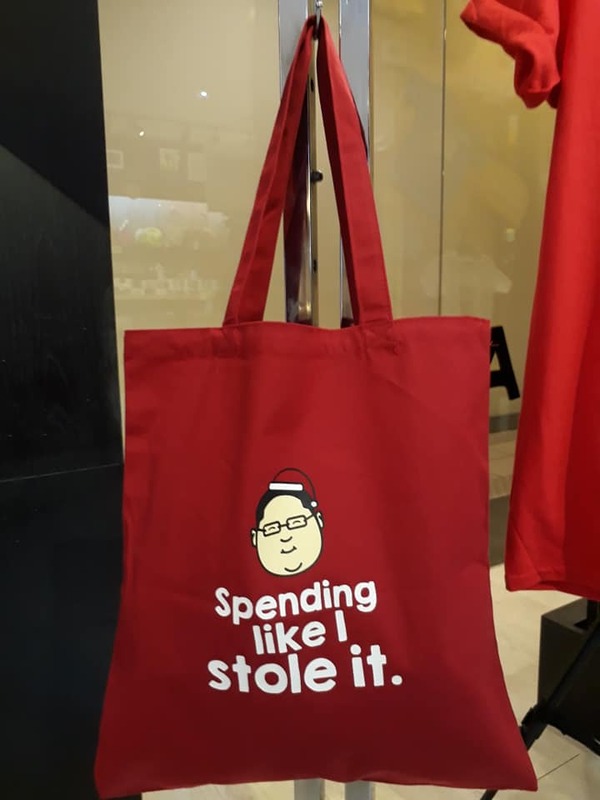 Apom Store, a lifestyle shop selling witty products that showcases the quirky side of Malaysian culture, has released a line of Christmas gifts showing a bespectacled rotund man on the run. Pictures taken by Peter Yeoh and posted on the Penang Walkabouts Facebook page have gone viral. For more, go here. There are T-shirts featuring a caricature in the likeness of Low donning a Santa hat with the words "Spend it like you stole it" while another says "Lari Party Jholly Repeat". In line with the spirit of Christmas, a red and white mug says "Jho! Jho! Jho! Tis the season of giving... back". Two other mugs summarise the notorious life of the fugitive businessman with "Drink it like you stole it" and "Money, Party, Jholly, Repeat". In this age of social media, sending Christmas cards may no longer be in vogue. 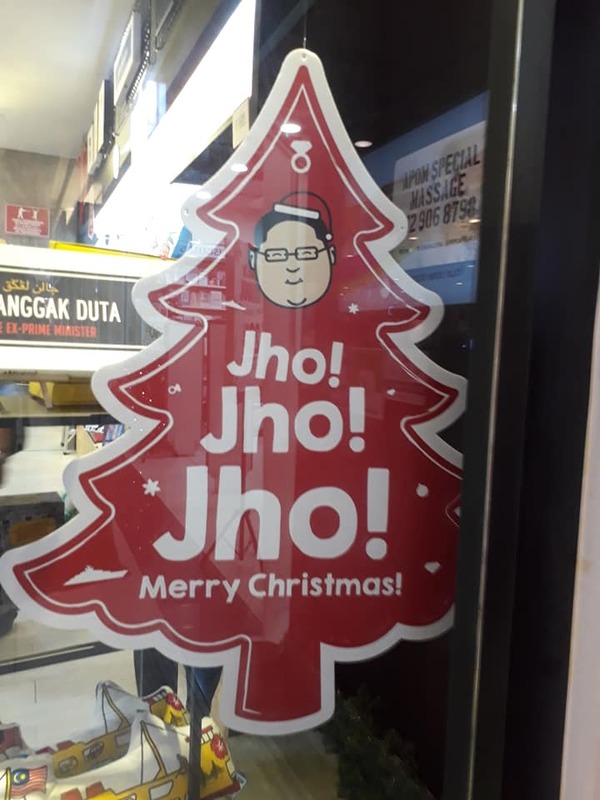 But a Jho Low-inspired festive greeting that reads "Wishing you a Billion dollar Christmas!" in the front and "Spend it like you stole it" inside the card might just reverse the trend. There are other Christmas gifts with similarly mischievous quotes in the form of coasters, a tote bag, and a "Finding Jholly" book similar to the popular children's book "Where's Waldo". "Finding Jholly" is an illustrated game where readers have to spot the mascot dressed in a black-and-white striped prison garb from a busy scene. And just like the real life events that it has inspired, the book is about "a nationwide search adventure".